Look, I love awards prognostication as much as the next geek who didn’t date a lot in high school. But it’s wise that we all put in the Golden Globes in proper perspective. And not in a “we could be going to war with North Korea so none of this matters” kind of way. I’m talking awards perspective, obvi. Just because top-draw celebs show up and drink free alcohol at round tables, and the trophies have been handed out since 1944 and Tina Fey and Amy Poehler teamed up to cohost for three delightful years doesn’t mean the Golden Globes carry significant weight. The Hollywood Foreign Press Association is comprised of just 93 anonymous journalists from around the world. There were more students in your high school graduating class. Zero of them vote for the Oscars. And last year’s award for Best Supporting Actor winner, Aaron Taylor Johnson in Nocturnal Animals, wasn’t even nominated for an Oscar. Keep that in mind as I run down my five top takeaways from this year’s movie nominations list. This Hollywood Foreign Press rarely resists the chance to slobber over high-wattage stars, no matter the quality of the movie. This is the same organization, after all, that honored Johnny Depp and Angelina Jolie for that sparkling gem, The Tourist. The extra comedy category increases the A-list odds. 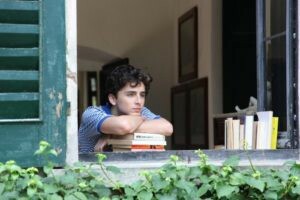 But this year they were not swayed, nominating little known favorites such as Timothee Chalamet (Call Me By Your Name), Daniel Kaluuya (Get Out), Sally Hawkins (The Shape of Water), Ansel Elgort (Baby Driver) and Hong Chau (Downsizing). Among the big stars on the outs? Jennifer Lawrence (Mother! ), Matt Damon (Downsizing and Suburbicon), Robert Pattinson (Good Time) Julia Roberts (Wonder), Jake Gyllenhaal (Stronger), Annette Bening (Film Stars Don’t Die in Liverpool) and Adam Sandler (The Meyerowitz Stories). Nominees Denzel Washington (Roman J. Israel Esq) and Tom Hanks (The Post) don’t count: They were already shoo-ins. Gerwig’s Lady Bird is at 100 percent on Rotten Tomatoes. Just saying. Ugh. The Best Director category stuck to the script . . . from 1983. The five nominees are comprised solely of five men, including stalwarts Ridley Scott (All the Money in the World), Christopher Nolan (Dunkirk) and Steven Spielberg (The Post). That means women were shut-out completely, including notables such as Patty Jenkins (Wonder Woman), Kathryn Bigelow (Detroit) and Dee Rees (Mudbound). Greta Gerwig (Lady Bird) also got snubbed, even though her movie got a Best Motion Picture Comedy nod. Sure, the well-executed Dunkirk was more of an ambitious undertaking than a teenage girl slice of life. Still. It’s not a good look. Hunter and Ray Romano = the best parents ever in The Bick Sick. I love The Big Sick. You love The Big Sick. Heck, my ultra-conservative, Orthodox Jew Republican dad loved The Big Sick, and he hates everything. 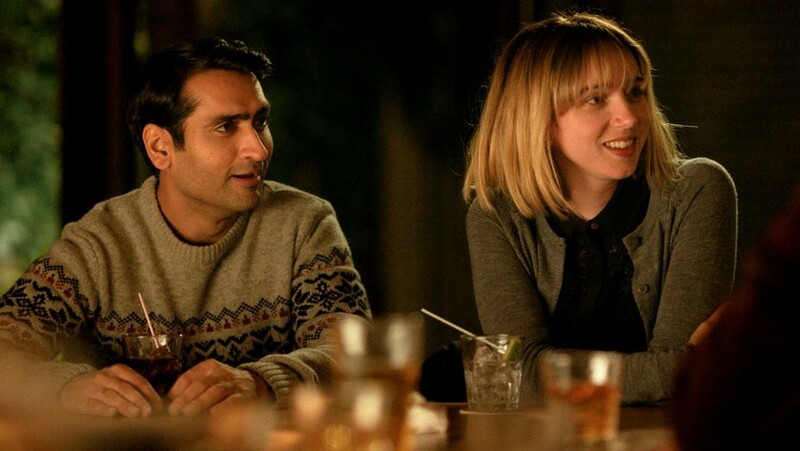 Yet the wonderful and legitimately funny hit rom-com based on the unconventional real-life courtship between Kumail Nanjiani and Emily V. Gordon was completely shut out. And that’s with the superfluous comedy category! Even Oscar winner Holly Hunter, so fierce and relatable as Emily’s mom, didn’t get the love. I have no explanation. I mean, I have theories (cough, cough). But no real explanation. I hope Nanjiani still gets to present a category and makes a deadpan dig. If the HFPA can invite Mel Gibson to yuk it up with host Ricky Gervais in 2016, they can invite Nanjiani. 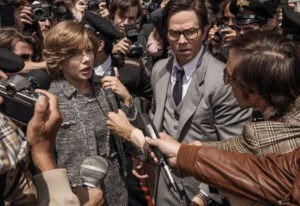 I still haven’t seen All the Money in the World, based on the life of oil tycoon J. Paul Getty. That’s because while we were enjoying Thanksgiving dinner, director Ridley Scott was busy reshooting the movie — with legend Christopher Plummer taking over the role for disgraced accused child molester Kevin Spacey. This is unprecedented. The movie could be a work of art for all I know. Yet we were all thinking the same thing, no? The top-shelf nominations, including the one for Plummer, seem more of a Rapid Reshoot Reward. The crazy thing is that I can envision Plummer winning over favorites Willem Dafoe (The Florida Project) and Sam Rockwell (Three Billboards Outside Ebbing, Missouri). The story is impossible to resist. 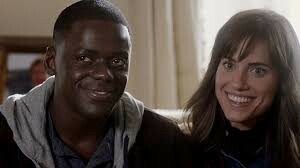 Among the reasons to appreciate the sly masterpiece that is Get Out: It doesn’t fit neatly into any genre. Writer-director Jordan Peele chose to stick it in the Best Comedy or a Musical category, possible to goose his chances for more nods. Never mind that a majority of the laughs were deeply unsettling — though I did love the musical numbers “Look Out for the Deer!” and “Rose’s Brother Is Weird” (kidding). Peele got his Best Motion Picture in a Comedy nomination, but failed to get cited for Best Director and, more inexplicably, Best Screenplay. Did he not glad-hand the voters enough during the nomination process? Possibly. Was the HFPA put off by the racial subtext of the movie? Probably. Is Aaron Sorkin (Molly’s Game) a slicker slam-dunk than a true outsider like Peele? A strong definitely. I have a strong feeling the Academy voters will rectify. You don’t want to mess with the TSA.